We drove from our house in Puin down to the outskirts of Vernazza. Not for the faint of heart--the last 6 km were steep, winding roads on the side of a mountain. The road was only wide enough for a single car and several parts were washed out (at least those parts had cement barriers around them). And no guardrails. We had to honk every time we went around a curve in case someone else was coming the other direction. We parked about a mile outside of Vernazza, which was as far as you can go unless you're a resident. The hike was gorgeous. We took Sentiero #2, the seaside trail that connects all 5 villages. There was enough elevation gain to make it feel like a proper hike. Coming into Corniglia was magnificent--you see the colorful city on the top of a peninsula jutting into the sea, the houses built right to the edges of the steep cliffs. We spent a long time at the ocean, so we decided to take the train back to Vernazza. I was also feeling feverish so I didn't mind skipping the return hike. Dio managed to lose his shirt while we were down at the water. We looked everywhere but no luck....Zari lent him her shirt and wore her swimsuit + shorts on the way home. Someone in Cinque Terre now has a light blue shirt that says "Freeze" on it. I'm taking a break from posting about breech birth to share what our family has been up to. During our last school vacation, we took a trip to Italy with my mom. We visited Cinque Terre, Pisa, and Lucca. Here's our first day in Cinque Terre, a collection of 5 seaside villages accessible mainly by foot, boat, or train. (You can also technically get to them by car, but it requires a high tolerance for extremely narrow roads on the side of a mountain.) We hiked on trail 509 from the Sanctuary of Soviore down to Monterosso al Mare and back. I love that we can drive for only 3 hours and be in these magnificent places! If I drove for 3 hours back home, I'd still see cornfields in every direction. Cathy opened the session with a commentary on Montgomery (see Johanna's presentation for specifics): use this law proactively. Don’t ask "What does the law say?" Instead, employ this legal framework actively and you will be fine. Photo used with permission of M.K. who birthed her 2nd child (frank breech) vaginally in Canada in May 2017. Q from a UK midwife: I run a breech/ECV/VBAC service. I have a burning question about whether I or the consultant OBs should be doing the informed consent. I recently posed this question to one of my consultant OBs. My clinic does informed consent as a lengthy process. For example, my VBAC women go to a VBAC class, a VBAC workshop, and see me or another midwife at 30 weeks. Then we go through the women's previous birth and discuss what they want to do this time around. After that point, the women then make their choices. It struck me, though, that maybe I shouldn’t book women for a cesarean once they’ve chosen that route. And who should be the one doing the consent: me, or the consultant OBs? Johanna: What you’re doing is great. Your practice sounds exemplary in terms of going through all that information, giving them the time, and letting things evolve over the pregnancy. Betty-Anne: In my area, the doctors aren’t willing to offer those choices after I tell women about their options. That’s why I ended up doing breeches—because the head of Obstetrics said they aren’t willing to do breeches. Be prepared for everybody in the medical staff to hate you, because you’re offering something that isn’t there. Cathy: This is a genuine dilemma for lots of midwives. Another classic example is home birth. Johanna, what advice would you give to a midwife if you know that their particular NHS service is really poor at actually enabling home birth? Johanna: I suggest a 2-fold approach. 1) Make it clear to the woman that it’s her decision to make. 2) Go into your places of work and have that dialogue with your colleagues. Q about Montgomery: If a woman has a request and you’re happy to agree to it, how duty bound are you now to explore the counterpart of those requests? Q: But in the real world, doing that [presenting the counterpart once a woman has expressed her preferences] can be taken in an antagonistic way, as if you don’t want the woman to have a choice. Johanna: Montgomery shows us how important it is for us to have those difficult conversations. What if breech isn't an option in your area? Lack of provider experience, difficulties in receiving referrals, etc. Cathy: What do you do in terms of having a UK unit where vaginal breech birth really isn’t an option? What would you say to midwives in terms of offering the choice of a VBB? Betty-Anne: I suggest to them that they move. [laughter from audience] Find a better practitioner if they can’t find one in their community. 23-30 years ago I sent people to The Farm, to Guatemala, to Nova Scotia. At one time I was going to send people to Frankfurt. Cathy: Isn’t that slightly different? The woman who comes into your clinic absolutely wanting a VBB…sure, we can open up proper informed choice to all women, but they may not have the capacity to travel to other places. Comment from a provider from Oxford about receiving referrals from other units/hospitals: We have a massive issue with funding because the maternity pay has already gone to the woman's booking hospital. We can’t offer ECV or other services to women from other booking areas. Julia: My clinical director is very happy for people to come to Sheffield to have their babies. Jane: Being told that you cannot have a vaginal breech birth because they haven’t got any experienced professionals in the local hospitals is surely a human rights issue. Why are we letting this happen? Frank: Is there any way to get more information in England about who is experienced? To satisfy quality management in Germany, every clinic has to fulfill a certain criteria. There’s a score that indicates if breech is offered and how many they do every year. (He referred to a person from England who created this score; I didn't catch the name). Consultant OB from Preston: We have recently expanded our vaginal breech deliveries. We get referrals from neighboring hospitals with small delivery rates because of lack of breech experience. The new 2017 RCOG breech guidelines say that institutions should refer women to experienced centers. Instead of having a blanket ban, there should be more sharing between institutions to help providers train and learn. Johanna: It’s multifaceted. The first option is to move the woman, but Birthrights doesn’t generally advise that. The other option is to move the professional; start writing the hospital and putting pressure on them, ask them to bring in an outside professional to attend the breech birth. Q: At Sheffield, can you have visitors come to observe breech births? Julia: Not right now, but that’s why we organized the conference! Betty-Anne: It’s not an either-or. When you go to a place where they’re not experienced in breech, they will bait-and-switch. Maybe they’ll say they’ll do it, but then they’ll find every possible reason to move to cesarean because they’re scared. Consultant midwife from Birmingham: A woman in my unit asked for a home breech birth. I was happy to go along with it, but some other providers were very fearful. Some midwives were confident but non-competent. Midwives need to attend training sessions to become more competent. Telling a woman her baby is going to die, over and over again, is a horrific thing to say to a woman. This was told to this particular woman 6 times. We used the Birthrights leaflet to show that this scare tactic was unnecessary exposure of risk. Jane: I will cover a bit about the National Midwifery Council. It’s the midwife’s responsibility to become skilled, otherwise they shouldn’t be on the register. We shouldn’t get women changing locations to have their breech babies, because it goes totally against physiology. Q: I hate seeing a woman with an undiagnosed breech in labor coming in and a run to the operating theater for an "emergency cesarean." How do you get informed choice in that situation? Where does consent come in in this time-sensitive situation? Frank: Undiagnosed breech isn’t common in Germany. We do a workup in the woman late in pregnancy, so in most cases we know beforehand. In my study, the women were all counseled at 36 weeks. ECV is offered at 38 weeks. Many women in this study have MRIs if they are functional primips. Undiagnosed breeches are extremely uncommon in Germany, but in the Netherlands they are common. It’s more important to each people how to deal with it vaginally, especially since cesarean is more dangerous late in labor. Julia: We have undiagnosed breches in our unit. Over the 5 years Helen and I have been working together, we harp on about breech all the time. We talk about it all the time. I'm always getting the pelvis out on the labor ward and showing how the baby just falls out of the pelvis if you turn the pelvis upright. Every single doll and pelvis does the same thing. I do this over and over on the labor ward, and the junior doctors and the midwives now realize how breech works. They get it. So now, the philosophy in our unit has changed. When there’s an undiagnosed breche, we don’t panic and rush to theater. We sit back, assess the situation properly, and discuss the options. But yes, it’s hard to discuss right as the woman is pushing. If a woman comes in 3-4 cms, you’ll have more time. But when a leg is coming out, you can’t do much discussion. I have seen a sea change in my own unit. Jane: There is no evidence that says you should take an undiagnosed breech into theater. It’s very dangerous. We must rebuild our skills, slowly, slowly, because we let it all go in the late 90s and early 2000s. The TBT, which opened the gates to all cesareans for breech, was about planned CS at 38 weeks. We’ve misread it and totally forgotten what it says. It has nothing to do with emergency cesarean for unplanned breech. 1. Over the entire pregnancy, you talk with the woman about her options, and build up a relationship, so the absolutely trusts you. 2. The woman shows up in labor with a surprise breech, but you have a little bit of time to have a discussion. Do your best. But it’s never the OB’s decision. It’s the woman’s decision. Can we do our best, without emotion, to get some sort of informed decision? Jane: I often see women stopping their labors so they are able to make their decision—physiology can kick in at times. Betty-Anne: Here is my perspective on MRIs and surprise breeches. At my unit, doctors will use the lack of an MRI as an excuse not to do a surprise breech vaginally. They will say, “Well, the woman hasn't had an MRI or an ultrasound to make sure the baby isn’t too big.” I have helped my unit to stop saying things like: “You need to know that if you’re having this baby vaginally, your baby might have cerebral palsy, might die, or we might have to decapitate the baby.” Now my unit has to list the 33 dangers of cesarean and the 1-2 dangers from vaginal breech birth. Shawn Walker: When I went into the labor ward in a new Trust, I initially kept my interest in vaginal breech birth quiet. I was working in postnatal ward when I was asked to take care of an undiagnosed breech. The woman was receiving abominable counseling from a junior registrar. The consultant walked in, whom I knew well. I had a word with the consultant. Meanwhile they gave the woman terbutaline and within 10-15 minutes they were in theater doing a cesarean. This woman lost over 2 liters of blood on the operating table. I realized that I needed to get out of the breech closet so this wouldn’t happen again. It’s really tricky to avoid creating dangerous conflict in these situations. Johanna: I know a woman with an undiagnosed breech. She said she felt overwhelemed with the amount of choice in her situation…but later she was grateful to have the information even if it was scary. Rixa: I commented about situation with breech bans in American hospitals, often as a knee-jerk reaction to a bad outcome (but sometimes for no apparent reason and no bad outcomes). Julia: I hope the ACOG will look at the RCOG guidelines and man up. 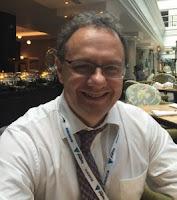 Andrew Bisits (Australian OB/GYN): It boils down to the fact that after the TBT, there was an abrogation of responsibility--that we obstetricians no longer have to do VBBs, therefore we won’t worry about them. All these cases show that professional bodies need to mandate breech competence. We can’t tolerate this primitive medical-legal attitude of “I don’t have to do this, therefore I won’t, so I’ll send you to someone else or rush you to theater.” Even a skeptic in Australia has said that every OB and every midwife has to be breech competent. It’s a human rights issue. Johanna: That’s why that the global Human Rights In Childbirth movement is so significant. Now this is the 2nd conference in the series. Once the rest of the world has got on board, you can’t ignore it. Disclaimer: I am working from typed notes, not from recordings. If something I have written is not accurate, please contact me so I can make the appropriate changes. Johanna Rhys-Davies is a barrister, mother, and La Leche League leader in the UK. She began by describing how she came to work in human rights and childbirth. She has worked as a barrister for 10 years in domestic violence, family law, and human rights cases. She had her first child in 2009, and the birth had a profound effect on her. She realized there were some really big problems with maternity care in her community of Yorkshire. She co-founded Airedale Mums and helped support a local birth center. She recently changed career paths to work with Birthrights. How did Birthrights begin? In 2013, Barrister Elizabeth Prochaska decided that childbirth was missing from the discourse in law and human rights in the UK, so she established the nonprofit organization Birthrights to bring childbirth into the conversation. Johanna gave an overview of Birthrights’ mission and current projects. She is very excited about the RCM e-learning module about human rights in childbirth that she is writing . Today’s presentation reviewed how a human rights framework operates in a maternity care setting. Joanna’s main argument was that human rights and human rights law provide a framework for quality maternity services that respect women’s autonomy. Providers can use a human rights framework in their own practice. Why care about human rights in the UK if giving birth is statistically quite safe? There’s been an awakening in the last 6-7 years that human rights in childbirth isn’t just about access to care, but also about the type and quality of care. Johanna quoted Mande Limbu of the White Ribbon Alliance: “Disrespectful and abusive care happens even when women have free access to healthcare.” Human rights in childbirth comes into play particularly around questions of morbidity and trauma--those wider decisions beyond stillbirth and NN/PNMR. Johanna argued that human rights are already part of maternity care and law. Human rights are a foundation for respectful, woman-centered care and protect women's rights to make decisions for themselves. Adherence to or breach of fundamental human rights has lasting effects on individuals’ well-being. Women’s experiences of childbirth persist vividly throughout their lives and affect their relationships and sense of self. Joanna and her colleagues at Birthrights think that human rights offers a framework for care that benefits both care providers and childbearing women. Providers are most afraid of #3—clinical negligence--but is that fear proportionate? There are approximately 1,900 births/day in the UK. In 2012, a 10-year review of maternity claims found that less than 0.1% of all UK births were subject to claims. Of that 0.1%, 39% of claims were discontinued. We have a system of big payouts for a small number of cases, and that skews our perception about negligence claims. Human rights law provides a powerful corrective to the dominance of negligence law in the UK. The really exciting thing about HR law is that it’s not just a counterweight to fears of clinical negligence, but it also has preemptive value. A maternity system where human rights are respected provides for mutual trust, mutual understanding, and mutual respect. A human rights framework can guard against harm and guard against claims. 2. All legislation, including health and social care law, should be compatible with human rights or “human rights compliant” (section 3 HRA). Individuals can’t sue other individuals for human rights violations; they can only sue public bodies and their employees. Some rights are absolute or non-derogable. Others are derogable; they can be interfered with or restricted, but the interference must be lawful, necessary, and proportionate. Joanna guided us through each of the 5 relevant articles from the ECHR: 2, 3, 8, 9, and 14. Article 2 reads: “Everyone’s life shall be protected by law. No one shall be deprived of his life intentionally (save in the execution of a sentence of a court…)” Good maternity care should take reasonable steps to protect a woman’s right to life. Of course, this does not mean providing treatment if someone does not consent, even if that treatment is potentially life-saving. But sometimes access to maternity care is also affected. Perhaps someone was denied access to maternity services because they were an overseas visitor who didn’t have money to pay for their care. Article 2 also has to do with facilitating informed choices. Some women might go elsewhere because their birth choices aren’t well supported in their care system, and they are fearful of the care they might receive. This human right covers serious harm, abuse, or neglect. Johanna gave a few theoretical situations that might apply to maternity care under Article 3: failing to obtain consent for medical procedures or not assessing and responding to the need for pain relief during and after childbirth. So far there are no legal cases in the UK specific to maternity care and Article 3. Following the Francis report into Mid Staffordshire Trust, 100 cases brought under article 3 were successful. Article 8 reads “Everyone has the right to respect for his or her private and family life, home and correspondence.” This includes the right to physical and moral integrity and bodily autonomy. The court considers that, where choices related to the exercise of a right to respect for private life occur in a legally regulated area, the State should provide adequate legal protection to the right in the regulatory scheme….In the context of home birth, regarded as a matter of personal choice of the mother, this implies that the mother is entitled to a legal and institutional environment that enables her choice, except where other rights render necessary the restriction thereof. This reaffirmed Article 8 rights and reject the concept of blanket consent. In Russia, women were routinely presented with blanket consent forms and weren’t able to consent or refuse individual items. The court reaffirmed that blanket consent was unlawful and that individual procedures need to be properly consented to at the time that they happen. Johanna noted that this case was a concerning change of direction in human rights law. Dubská wanted regulation for midwives in the Czech Republic. Dubská lost and the Czech Republic wasn’t obligated to regulate midwives. 5 judges dissented in this decision. Johanna noted that this case does not affect the right to give birth at home. This case ruled that mothers facing removal of their children at birth must be consulted and involved in the process to protect her Article 8 rights, except in exceptional circumstances. The judges were very clear that there have been developments in human rights law; they looked at negligence within the framework of human rights and they used the language of Art 8 in their decision. Johanna quoted from Lady Hale’s judgement: “It is now well recognised that the interest which the law of negligence protects is a person’s interest in their own physical and psychiatric integrity, an important feature of which is their autonomy, their freedom to decide what shall and shall not be done with their body.” (para 108) Montgomery v Lanarkshire means the language of Article 8 rights is now being used within negligence law. Are there restrictions on Art 8? Yes, sometimes, but restrictions have to be necessary, lawful and proportionate. Johanna gave an example: a particular NHS Trust installs CCTV in every room, hallway, bathroom, etc. to keep patients safe. This might be considered disproportionate and the Trust would have to scale back on the number of CCTV cameras to a more reasonable number. No case law in maternity care exists at the moment. Johanna provided some hypothetical examples of how this might arise in maternity care: a woman declining a blood transfusion for religious reasons, a woman requesting only female care providers for religious reasons, treating women respectfully who choose abortion, particularly those who choose abortion after 26 weeks. This is a piggyback right; it has to connect to another right in the HRA. Johanna provided an example of how this might play out: if a midwife violated Article 2 by not providing life-saving care, and the midwife did so because she had a discriminatory attitude about the woman’s age or disability, that would engage Article 14 along with Article 2. So how does do the Human Rights Act and the various legal cases cited previously help us on the ground? Birthrights has identified 3 key legal principles underpinning human rights law: dignity, autonomy, and informed consent. Principles matter on the ground. Once you can adopt these principles into your practice, that human rights approach can transform the way you care for women. Johann is here today because of something Julia Bodle said in 2015: “Well, in other words, the mother is not just a suitcase.” Childbearing women are not just a vessel, not just a means to an end. Women’s interests are often diminished and neglected in favor of what are seen as her baby’s interests. The principle of dignity gives women the ultimate respect and should compel the provision of healthcare. As Cathy Warwick, CEO of the RCM has said, "We are human beings first; then professionals; then employees." Dignity is a legal principle that underpins Articles 2 and 3. Dignity reinstates women as the center of childbirth. Johanna referenced an OB, Florence Wilcox of Kingston Hospital, who put herself into a lithotomy position in a delivery room and then documented her experiences. For the first time, Florence realized how undignified and vulnerable this position made women feel. A competent woman, who has the capacity to decide, may, for religious reasons, other reasons, for rational or irrational reasons or for no reason at all, choose not to have medical intervention, even though the consequence may be the death or serious handicap of the child she bears, or her own death. In our judgment, while pregnancy increases the personal responsibilities of a woman, it does not diminish her entitlement to decide whether or not to undergo medical treatment. Although human…an unborn child is not a separate person from its mother. Its need for medical assistance does not prevail over her rights. She is entitled not to be forced to submit to an invasion of her body against her will, whether her own life or that of her unborn child depends on it. Her right is not reduced or diminished merely because her decision to exercise it may appear morally repugnant. A court-ordered CS is likely to be a profoundly distressing experience for a woman who is already vulnerable. While lack of capacity may justify intervention in extreme circumstances, all those involved in such cases need to explore every option for ensuring that incapacitated women’s choices about their births are respected. The rush to surgery in these cases should be intensely scrutinized by lawyers and health professionals alike. Johanna shared a line from Rachel Joyce’s novel The Unlikely Pilgrimage of Harold Fry: “everyone was the same, and also unique; and that this was the dilemma of being human.” Maternity care providers face this dilemma with every woman they care for. Johanna mentioned that Hannah Dahlen of the University of Western Sydney and others have emphasized the need for individualized risk assessments. Johanna noted that both statements are mistaken—women absolutely do have the right to make decisions about their bodies and their obstetric care, no matter the perceived risks to themselves or their fetuses. The waters are more murky in the USA and Australia than they are in Ireland and the UK. Johanna referred to another case, CP v Criminal Injuries Compensation Authority, Sep 2014. It ruled that the plaintiff could not sue her mother for damages due to fetal alcohol syndrome. Johanna also cited an article by Kruske et al 2013 titled Maternity care providers' perceptions of women's autonomy and the law. Many maternity care providers did not understand the legal rights of the mother and believed the needs of the fetus could override the rights of the mother. We need to be crystal clear that Montgomery has only changed the legal test surrounding medical discussions, dialogues, and procedures of obtaining informed consent with a service user or patient. It has not changed the test for actually carrying out a surgical procedure, carrying out a medical action, prescribing a medication, etc. All of those "action" based parts of medical care are still subject to the "reasonable body of medical opinion" test, also known as the Bolam Test. Johanna briefly told the story of Mrs. Montgomery (summarized here and written in detail in the judgment.) Initially, a Scottish judge ruled against Mrs. M, saying that “too much in the way of information may only serve to confuse or alarm the patient” and that it’s up to the practitioner to decide where the line should be drawn. But when the case when to the UK Supreme Court, that perspective was shot down. Lord Kerr spoke of a paradigm shift in health care and patient decision-making; it must be individualized and thorough. “It would be a mistake to view patients as uninformed, incapable of understanding medical matters of wholly dependent upon a flow of information from doctors,” he wrote. A new case, Thefaut v Johnston (March 2017), just came out and reaffirms Montgomery. It’s not about childbirth, but it addresses the issue of informed consent. More details on the ruling here. We are moving away from paternalism. A main theme of Montgomery was making providers take responsibility for how they treat and counsel patients and giving patients responsibility for their own informed decisions. How do human rights improve maternity care? Joanna’s experience of birth was transformative thanks to her maternity care team. That is why she came to this conference—and why she changed what she does for a living. Her two take-home messages regarding human rights in childbirth are that 1) the legal framework is there and 2) the global community is there. Never underestimate the impact you will have when you are truly supporting a woman’s human rights in childbirth and how your care affects her, her relationships, and her involvement in the community and with the world. Frank Louwen is a Professor of Obstetrics and Perinatology and the Division Chief of Obstetrics and Fetomaternal Medicine at the University of Frankfurt, Germany. He studied at Westfälischen Wilhelms-University Münster from 1983-89. He has served as Chief of the perinatal Centre (III) at the University Hospital Frankfurt Goethe-University since 2002. He also serves on several executive boards. In 2004 Dr. Louwen started delivering breech babies with the mother in the upright position (on her knees or all-fours). Betty-Anne Daviss is a registered midwife at the Montfort Hospital, where she has privileges to do breeches without transfer to obstetrics, and the Ottawa Hospital. 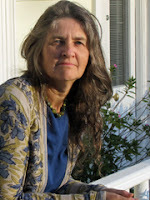 An Adjunct Professor in Women’s Studies at Carleton University, Ottawa, Canada, she has been a midwife for 40 years and is a researcher in both the social sciences and clinical epidemiology. Publications in medical journals have centred on postpartum hemorrhage, home birth, and vaginal breech birth.. Reviewed by Frank Louwen & Betty-Anne Daviss, April 2017. Dr. Frank Louwen began by giving some background to his interest in upright breech birth. He attended the last North of England Breech Conference two years ago. He invited Lawrence Impey to the Congress of the German Society of Obstetrics & Gynecology (DGGG--Kongress) next year to give his same lecture. With breech birth, some people are still comparing apples to pears (i.e., highly standardized cesarean sections versus non-standardized labors and births). Our first task is to understand and improve labor: what is physiological or not? Are we inducing pathology with certain maternal positions? Maybe breech is physiological; maybe it is a variation of normal. If something happens spontaneously without help, it might be considered normal. In contrast, when a woman is on her back with a head-down baby, you have to do something to help the baby out (deliver the shoulders). Many countries also do various things to "help" the perineum. Thus you might say that cephalic presentation is not normal because you have to "do" things--at least when the mother is on her back. The position of the mother is important. Frank reminded us that cesareans are related to maternal mortality, childhood asthma (Thavagnanam 2008), type-I diabetes (Cardwell 2008), and the future of the family (see research on cesarean section and stem cell epigenetics by Almgren 2014). Cesareans have an impact on the child, not just on the mother. 2015: "The benefits need to be weighed against factors such as the mother's preferences for vaginal birth and risks such as future pregnancy complications in the woman's specific healthcare setting....The data from this review cannot be generalized to settings where caesarean section is not readily available, or to methods of breech delivery that differ materially from the clinical delivery protocols used in the trials reviewed....Research on strategies to improve the safety of breech delivery and to further investigate the possible association of caesarean section with infant medical problems is needed." In Germany, as in many other parts of the world, physicians and midwives have reduced experience with VBB, especially after the TBT. He presented a series of slides showing this trend. Frank is trying to implement what the 2015 Cochrane review advised: improving the safety of vaginal breech birth. In his own clinic, they had to improve and refine their techniques of upright breech birth. It's a learning process. Frank also spoke about training colleagues in breech skills: they learn both the traditional on-the-back maneuvers and the hands & knees techniques. Even though they almost never do on-the-back births now, they still teach and practice that skill set. "Don't forget your experiences; improve your experiences," he advised. She and Frank have a long relationship going back nearly a decade. In 2008 she arrived in Frankfurt, as she was travelling in Europe studying the protocols of the centers still doing vaginal breech births. She phoned up Frank to say that she had found herself in the uncomfortable position of being the Canadian apologist for the Term Breech Trial and he then immediately said, "C'mon over." He showed her some videos of his upright breeches, and she said to him, "This is how I learned to do breeches from midwives in Guatemala 30 years ago!" As researchers, Betty-Anne and Ken Johnson (the other principal investigator on the Frankfurt study) have noticed that the large registry studies almost always show worse outcomes for VBB than the single center studies. This might be because registry studies include outcomes of all breeches, including undiagnosed births, and births done by practitioners of varying skills. She briefly touched on three recent registry studies from the Netherlands (Vlemmix 2014), Canada (Lyons 2015), and the US (Gilbert 2003). In the US study, less than 5% of the breeches were born vaginally, which indicates that the attendants were not getting much practice. In the Canadian study, the authors used a composite measure for mortality and morbidity, meaning that both mortality and morbidity were lumped together into one group. From the abstract, VBB seems quite dangerous. However, if you read the full text and separate mortality from morbidity, you will see that the mortality rate in the planned vaginal breech birth group was 0, and the "severe morbidity" was no doubt, as with other breech studies, short-term. 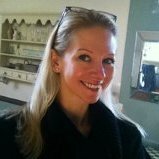 Betty-Anne argued that cohort studies are the best option for studying vaginal breech birth, rather than large registry studies. There's been so much focus on comparing VBB to CS that very little has been published on improving VBB itself. That led to the 2017 Frankfurt study in the International Journal of Obstetrics & Gynecology (IJOG). She also spoke about how they chose the article's title Does breech delivery in an upright position isntead of on the back improve outcomes and avoid cesareans?. IJOG initially didn't want them to use a question in the title, but she wanted something accessible to a lay audience and a title that wasn't boring. They had also submitted the manuscript to the ACOG journal. However, The ACOG journal said that they didn't want to obligate American OBs to do VBBs. Instead, they encouraged Betty-Anne and Frank to publish it elsewhere, and then the American OBs could borrow from it at arm's length! Next, Betty-Anne reviewed the main findings from the Frankfurt study: upright vaginal breech birth leads to a shorter 2nd stage, fewer cesareans, less intervention, fewer maneuvers, and fewer injuries to mother and baby. Although this was a term study, they deliberately put a note about preterm vaginal breeches because so many clinics go straight to cesarean for preterm babies. On the question of primips: 3/4 of planned cesareans and 2/3 of planned VBBs were for mothers having their first babies. Too often, primps are sent right to cesarean if they have a breech baby, and this study shows that primip breech is a reasonable option. In Ottawa, 80% of the women coming to Betty-Anne for VBB are primips. People only have 1 or 2 babies nowadays, so we will often see primip breeches. What have we learned? Putting women on their backs induces pathology and requires more maneuvers. This is also true in cephalic presentations! In Frank's experience, sometimes he needs to do maneuvers even with upright positions. They’re now looking at what influences the rate of shoulder dystocia (nuchal arms) in breech presentations. He urged anyone who wants information or who would like to come train at his clinic to call his secretary Barbara. They have colleagues coming every week from all over the world. Frank wishes to do an international RCT on upright breech births in experienced units. His plan is to train the units in both positions, as he does with all of the providers at his Frankfurt clinic. Once the units are well-trained and well-experienced, they will then conduct a RCT comparing upright and on-the-back breech birth. Word is moving about upright breech birth, and we are thinking globally, not just locally. Frank ended by thanking Lawrence Impey for reminding us that we are responsible for what is happening in low-income countries. They look at our papers and adopt our obstetric structures. 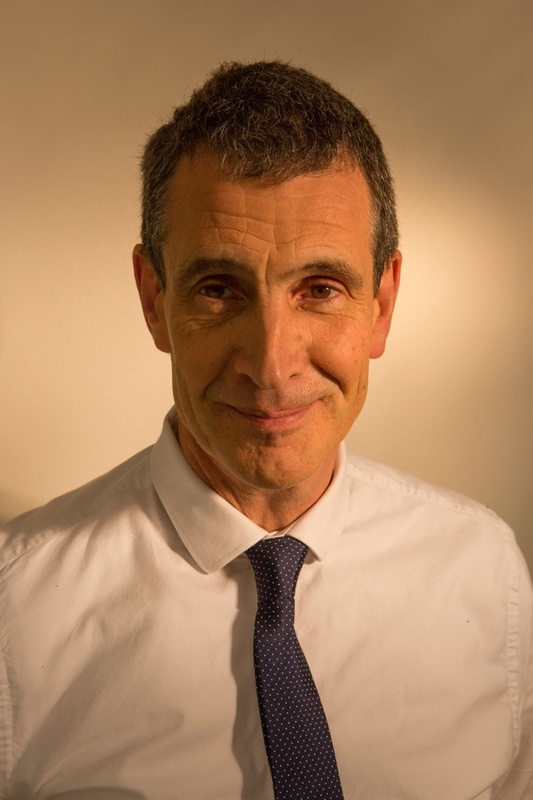 Lawrence Impey, FRCOG, is a Consultant in Obstetrics & Fetal Medicine at John Radcliffe Hospital, Oxford. He is the head of the guideline group responsible for the new RCOG Breech guideline, published on March 16th 2017. He is widely published in the areas of labor, breech presentation and the origins of childhood handicap. He has written, edited and contributed to several leading text books in obstetrics and gynecology. Dr. Impey is Director of the sub-specialty training program in fetal and maternal medicine in Oxford. He also lectures regularly locally at Oxford University, nationally and internationally. Within the NHS, Mr Impey specializes in complex pregnancy, particularly for women with multiple pregnancies and those at risk of preterm delivery. He runs the breech and external cephalic version (ECV) service. When he and his team put together the new guideline, it was very obvious what the evidence showed. He’s slightly puzzled about why there’s been any dispute about it at all. What is important is that we give the facts in a proper, fair, and unbiased way. He hopes that his "dry" talk today will do this. What women do with this information is what matters. As OBs, we forget the difference between relative versus absolute risk, and we focus too much on the immediate risks versus the later risks. "In my opinion a biased look at the literature"
"This recommendation is based on poorly designed studies and is designed to scare women into wanting a vaginal breech delivery"
"We know many (if not most) of these women will require some kind of operative intervention in order to deliver (CS, forceps, generous episiotomy, fetal manipulation or even cervical incisions)"
"...and we believe that the recommendation...is detrimental to maternal safety"
"this section does not respect the right of the woman to make informed decisions about place of birth"
Lawrence presented several key questions in the debate over breech birth: Is cesarean “safer” for a baby? And safer in what way? Is planned VBB safer for a cephalic baby than for a breech one? In debates over safety, many different outcomes matter. Some are short-term, others long-term. Lawrence's presentation covered six main outcomes, all of which need to be taken into account. Other people’s babies: this is something that we easily forget. What we do with breech affects other mothers and other babies both locally and globally. The longest section of Lawrence's presentation focused on neonatal & perinatal death. He noted that the longer you drive, the more likely you are to be killed on the motorway. The same is true for pregnancy: the longer you are pregnant, the more likely you will have a stillbirth. If you simply end the pregnancy at 39 weeks, you aren’t exposing any babies to the risk of stillbirth after 39 weeks. (Kind of obvious!) If you “fail” to deliver a baby at 39 weeks, you introduce that baby to a 1/1000 risk of stillbirth. Lawrence noted that if the only outcome you’re interested in is the prevention of stillbirth—and nothing else—then it is slightly safer for all babies to have a CS at 39 weeks than to wait for labor to begin. The risk of perinatal death for planned cephalic births compared to elective CS is around 1.3/1000 (1/1000 from failing to deliver at 39 weeks + 0.3/1000 intrapartum risk). Arguments about term breech should be set in this context. Any trial that randomizes babies to elective cesarean section versus labor will expose the baby in the labor group to a slightly higher excess perinatal mortality by nature of waiting for labor to begin and the process of labor itself. This matters because there are other outcomes to take into account, not just perinatal mortality. Lawrence then addressed the 2000 Term Breech Trial by Hannah et al (TBT). This randomized controlled trial suggested that 1% of babies died because of planned vaginal breech birth. Since it's the only RCT on term breech, the TBT is seen as the definitive answer. However, there are both strengths and weaknesses--"angels and demons" in his words--in this trial. He did not spend too long on them since the literature has already played them out in great detail. But in his view, one of the TBT's major problems was that some of the babies were randomized incorrectly. And the findings of the TBT aren't applicable to a modern setting in many ways; 31% of the babies had no prenatal ultrasound, 13% had no obstetrician in attendance, fetal monitoring was rare, prolonged second stages were allowed, and 10.6% of the babies fell outside the weight range of 2500-4000 g. By Glezerman's analysis, only 16 of the 69 "morbid" babies had outcomes attributable to the mode of delivery. Meta-analysis by Berhan & Haileamlak (2016). This study suggseted a PNMR of 3/1000 for pVBB vs 0.5/1000 for ECS. However, it was retrospective, heterogenous, and had unstated management and case selection. PREMODA study by Goffinet et al (2006): This multi-center French & Belgian study is a very important series comparing 2502 pVBB and 5573 pCS. It wasn't a RCT, and the two planned arms (VBB vs ECS) aren't directly comparable. The PNMR with planned VBB was 1.2/1000 compared to 1.4/1000 with planned cesarean. To him, this study describes one very important thing: what can be achieved in terms of the safety of VBB. Those breeches were "managed" in a very different way than most people would look after breech births in the UK. Vlemmix et al (2014): This population-based study comes from Dutch registry data and looked at 58,320 term breeches from 1997-2007. It is impressive data, and we need to look at it very carefully. All babies were alive at the start of labor, so it eliminated the antepartum stillbirth issue. The important point is the PNMR of 1.6/1000 for pVBB in this study vs the 1/100 quoted in the TBT. Overall, there is a difference in PNMR between ECS and planned vaginal birth. However, the TBT has exaggerated the risk of PNM by a factor of 5-10. This influenced his Grade C recommendation in the 2017 RCOG guidelines that put the risk of perinatal morality at 0.5/1000 with CS at 39 weeks, 2/1000 with pVBB, and 1/1000 with planned cephalic birth. This bears repeating: planned vaginal birth for a head-down baby is twice as dangerous as elective cesarean at 39 weeks--looking only at perinatal mortality--but there is no guideline telling women with head-down babies that vaginal birth is too dangerous! We have to remember this when looking at breech data. Thus, the 2017 guidelines counseled that "Clinicians should counsel women in an unbiased way that ensures a proper understanding of the absolute as well as relative risks of their different options." Just saying that vaginal breech birth is "four times more dangerous" than an elective cesarean (relative risk) is misleading and doesn't put the numbers in context of their absolute risk. This raises some important questions: Can the mortality rate be further reduced with VBB? Can we get it down to the cephalic mortality rate? One possible solution comes through better in-labor management; another comes from better case selection. When looking at small studies that are underpowered to detect mortality, it is reasonable to assume that if the morbidity rate is better, the mortality rate may also be better. This guided his level C recommendation that "Selection of appropriate pregnancies and skilled intrapartum care may allow planned vaginal breech birth to be nearly as safe as planned vaginal cephalic birth." Most studies of vaginal breech births show a higher short-term morbidity (usually measured by Apgar scores, NICU stays, and trauma). However, Lawrence noted an "enormous amount of hypocrisy in obstetrics" in how morbidity is interpreted with breech versus VBAC or EFM. For example, VBAC has a 0.08% risk of HIE and 0.04% rate of PNM, yet the RCOG 2015 VBAC guidelines state that "Women considering a vaginal birth after a previous caesarean section can be assured that it is a clinically safe choice for the majority of women." Regarding EFM, neonatal seizures are twice as common with intermittent auscultation than with EFM for low-risk women (Alfirevicz et al 2017), yet intermittent monitoring is still commonplace and accepted for low-risk women. In other words, obstetrics picks and chooses what risks to downplay and what risks to emphasize, depending on the issue at hand. Maternal morbidity should also matter to us. It's highly dependent on the emergency cesarean rate. In the TBT, 36.1% of mothers had in-labor cesareans, compared with 29% of women in the PREMODA study and ~45% in the Vlemmix study. A mom with a 95% chance of needing a CS in labor would be best counseled to plan a CS than a mom with a very low chance of needing an in-labor CS. And the chance of an emergency CS is relatively high for a pVBB. Even taking that into account, though, it’s still slightly safer for a mother to plan a VBB than to plan a cesarean for a breech baby. The next baby is also really, really important, especially in other parts of the world where women have large families. There is some data that suggests a two-fold increase in stillbirth for women with a previous CS. That may or not be right; it’s probably more due to the indication for the original CS than the surgery itself. In the UK, over 50% of women with a previous CS have a repeat CS. Repeated surgeries increase the risk to the mother and to the baby. We have a really serious responsibility to set an example for other parts of the world. A colleague in Africa told him that for every 1 baby you save by doing a CS for breech, you will kill 5-10 mothers down the road. Just having had a CS makes women much more likely to have other obstetrical problems. There are also long-term risks to the baby born by cesarean sections, including increased rates of obesity (Darmasseelane et al 2014, Huh et al 2012), type-I diabetes (Cardwell et al 2008), asthma (Huang et al 2015, Black et al 2016), and chronic immune disorders (Sevelsted et al 2015). Larwrence warned that we are obsessed with the immediate over the long-term, both as parents and as health professionals. We have an obligation not to wreck things in the long-term and not to create disease. It’s very important to bear this in mind and to understand that cesarean section is not a benign procedure. And there are confounding variables to sort out: how much of the risk comes from the indication versus the cesarean itself? For a mother with a cesarean scar, there are several increased risks regardless of whether she has a VBAC or a repeat CS for her next baby: blood transfusion, endometriosis, hysterectomy, death, and placenta accreta/percreta. Lawrence sometimes jokes with total sincerity: “I want you to have a vaginal breech birth because I need the practice.” Other people's babies are tremendously important, and needing practice is a very reasonable reason to promote vaginal breech birth. In the TBT, low PNMR countries had twice the morbidity during planned VBB than high PNMR countries. Why is this? He theorizes it's because providers in low PNMR countries were less skilled; they had less practice because cesarean section for breech had already become common even before the TBT. In the UK today, 1/3 of all term breeches are still undiagnosed when labor begins. Until relatively recently, Oxford had a high rate of undiagnosed breech birth. In fact, last year his unit lost 3 undiagnosed breeches who died on the highway en route to the hospital. Providers today don’t know what to do for undiagnosed breech babies. In Oxford, half of them are not diagnosed until full dilation. We need to be able to do a vaginal breech for those 1/3 of all breech babies. This argument is a very, very strong one, Lawrence noted. Can it be made as safe? How can it be made safer? This conference should strive to answer those 3 questions. When looking at breech birth, many outcomes matter, not just perinatal mortality. Short-and long term outcomes matter for both mother and baby. The next baby matters. Other people's babies matter. One audience member mentioned how we calculate stillbirth at different weeks of gestation might affect how we counsel women. She mentioned a different method for calculating stillbirths, taking into account the babies already born, and it makes it more of a flat line vs a sharply increasing line after 40 weeks. Another audience member asked a question about ECV. A third person asked whether the cesarean rate for breech had changed after Oxford started doing routine 37 week anatomy scans (which has greatly reduced their undiagnosed breech rate). Disclaimer: I create these conference summaries from typed notes, not recordings. If something I have written is not accurate, please contact me so I can make the appropriate changes. A local mother, Helen Lowes, spoke about her daughter born at the Jessops Wing in Sheffield. At 37 weeks, she discovered that her daughter was frank breech. She was booked for ECV and introduced to Helen Dresner Barnes and the Sheffield Breech Birth Service (part of the Citywide 1:1 midwifery team). Helen gave her lots of information about delivering a baby breech. Her ECV was scheduled at 39 weeks, but ultimately she decided to decline it for many reasons. Helen decided to have a vaginal breech birth but was also booked for a cesarean around the end of her 40th week. However, she had a change of plans and didn’t consent to the CS at 40 weeks. Instead, she pushed it back to 42 weeks. During this time, her daughter changed from frank to complete breech. As her cesarean date loomed closer, Helen changed plans again and pushed the surgery back to 42+6, which was quite unusual. She was very opposed to induction during her pregnancy, but at this point she began all sorts of natural remedies! But keeping the baby in had some benefits: at 42+2 weeks, she graduated with her 2nd master’s degree. Then she asked if Helen Dresner Barnes and her team would bend or break the rules a little to help her go into labor, and they did. So she had a stretch & sweep at 42+3 and again at 42+5. She went into labor. 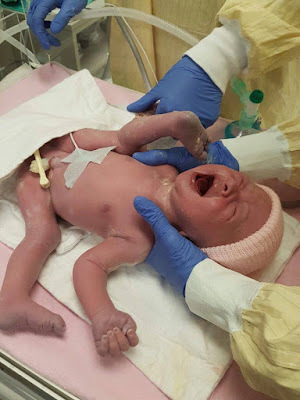 Ultimately, she dilated to 3 cms and ended up with a cesarean instead of a vaginal breech birth. What was important to her? Why did she make the choices she did? For Helen, she wanted to be her; she wanted to have autonomy over her own body. Helen remarked, "When you become pregnant, it’s almost like you have to do everything for the baby." She valued making informed choices, rather than choices made under pressure. "It’s easier to say yes than to say no and to ask why and what are the risks." Helen made this poignant remark: "You’ll never know the consequences of the option you didn’t take." She wanted to experience labor. It was important to her, and she was prepared for it. She wasn’t against a cesarean, but she only wanted one when it was needed. The key word in her journey of having a baby in unusual circumstances was Empowered. "As a woman, you feel that your power is given to your baby. And while you don’t want to put your child at risk, you want to be able to make your own choices." She appreciated Helen Dresner Barne’s sometimes “brutal” honesty; it helped her be able to make choices. Helen Lowes finished by urging the care providers in the room to can pass on their knowledge about breech so other women can benefit from it. Comment by Cathy Warwick: Yes, it’s easier to say yes than to say no to what’s offered medically. Even among very well-educated women, they still say things like “Am I allowed to do that?” when it comes to healthcare.